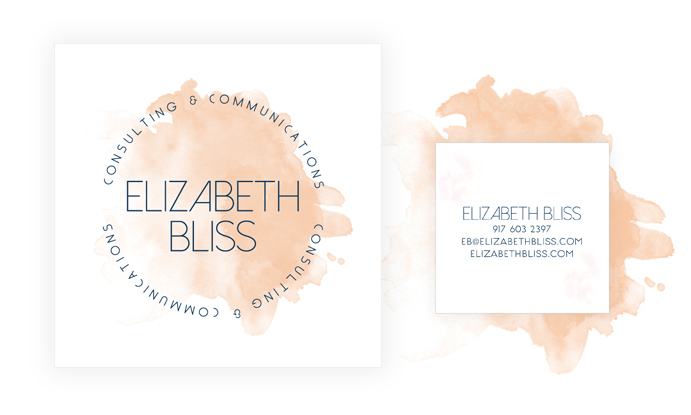 When PR powerhouse Elizabeth Bliss called upon us to create a logo and web presence, we were thrilled! Not only has she worked with big name brands like Allure Magazine, Cohens Optical and Just For Men products, but shes a branding pro with an eye for design. Being a fashion forward PR guru, Liz wanted a functional logo that would evoke thoughts of beauty and whimsical fun. The result, a pale pink and rose watercolor effect reminicent of powder blush - A perfect represention of her soft yet striking work ethic. The website followed suit, with simple and classic looks, text and subtle hints of our watercolour swipes, stripes and spots.